From Goodreads.com: Can SI Joanne Stuart find the killer—before he finds her? 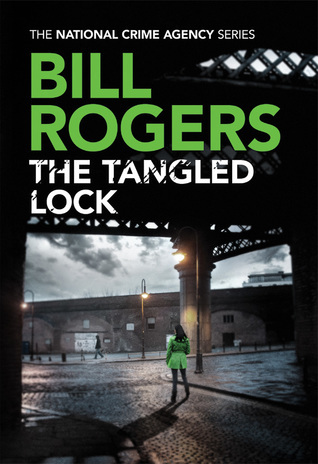 A serial killer haunts the streets of Manchester, targeting vulnerable working girls in the dead of night. His signature: a tangled lock of hair in his victims’ throats. As the body count rises, pressure mounts for the Greater Manchester Police and the National Crime Agency’s Behavioural Sciences Unit. For Senior Investigator Joanne Stuart, the race is on to catch the twisted killer before he strikes again. With DCI Gordon Holmes on her back and the press following her every step, Jo will stop at nothing to bring the murderer to justice. But her separation from her partner, Abbie, is a distraction she can ill afford. As the hunt continues, will Jo be able to focus on the case or will her personal troubles have disastrous consequences? When Jo finds herself targeted by the killer, she realizes that the game of cat and mouse she is playing could turn deadly…for her. Let me begin by saying that I have not read any of the prior novels in this series, and while I don't feel that made this story hard to follow or understand, I do wonder if maybe I would have a better understanding of the main characters had I read the earlier books. I found this story to be an accurate depiction of police work. Tedious, unfulfilling, big build up for a let down, lucky break and finally action. I'm not saying there is anything wrong with that, merely that parts of this story drag on. So much so that I constantly found myself distracted by other things. Once the investigation actually starts moving however, I was glued to my kindle in an attempt to find out what would happen next. It's just a shame it had to take as long to get there as it did. Overall, I am sure this story will definitely appeal to those who enjoy a well written police procedural novel. I will read more from this author!